November 11 marked by an unusual news. Mojang posted the following post in the official Twitter account: The End is nigh! 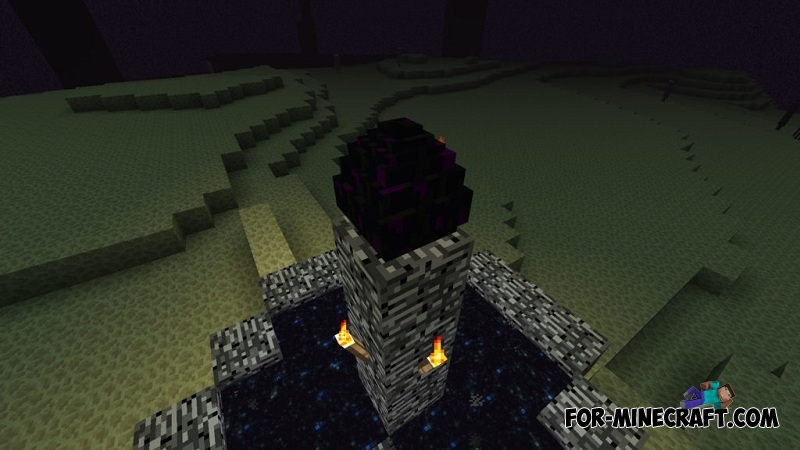 Today we will tell you about new content which has been added to Minecraft 1.0 known as Ender Update. 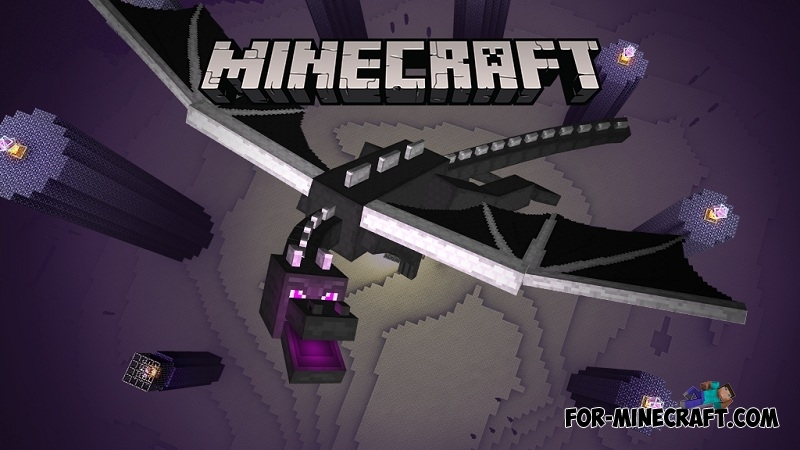 Finally came the moment when the developers have added the End in Minecraft Pocket Edition 0.17, and all players will be able to explore it and to fight with Ender Dragon! The End - the third and last MCPE dimension. To get into it, the player has to find, fix and activate the portal which is located in the Fortress. Through the activated portal the player immediately falls into this area. The End consists of the main and small islands, distance between them about 1.000 blocks. The beds will explode if the player wants to use them. The lava poured quickly as in the Nether. Water flowing at the same speed as in the ordinary world. Compasses do not determine the point of respawn. The clock is not working in this dimension, there is no day cycle. Maps made in the End shows the same red and gray elements as in the Nether. The fire is burning endlessly on bedrock, but does not extend. 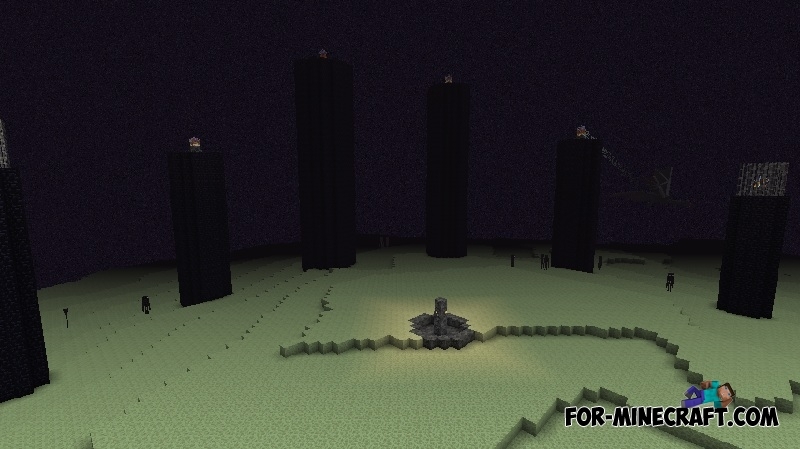 After teleporting to the End, the player will be spawn on the central island where you will see a lot of Endermans. You have two ways - to kill the three-headed monster, or die. Once you have defeated the final boss, you'll get the sphere of experience (about 70 levels) and will be the place to teleport back. If you go there, then you will see the credit titles and get the achievement. Once the End Boss dies you can begin to explore the surrounding areas of other islands outside the main, just move to them through a special portal. They mainly contain a dungeons, plants and new mobs. 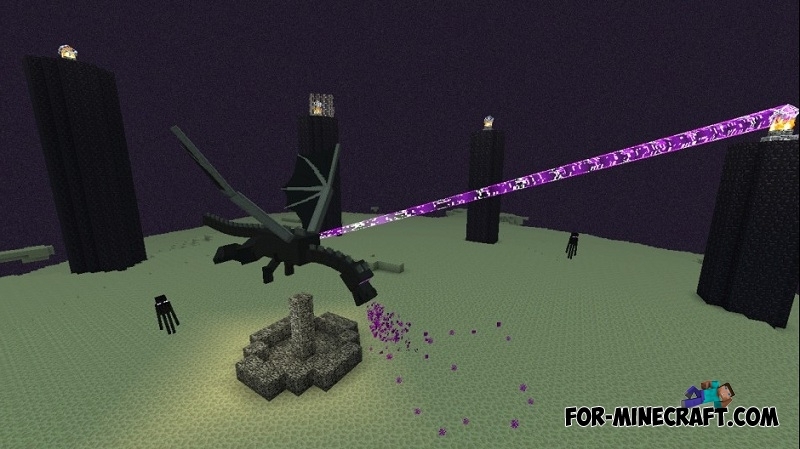 Ender Dragon is the final Minecraft boss, a huge black monster with purple eyes. The dragon has a few types of attacks as well as able to destroy blocks. To kill him you need to destroy all the End crystals, because the dragon use them to restore their health. Dragon egg - appears before the eyes at the top of the portal after the murder of its owner. Dragon's Breath is a component for creating potions. To obtain it you need to use an empty glass bottle in the center of the acid cloud created by this monster. Elytra is a rare thing, allows float in the air (slowly descend). You can find this thing on flying ship. 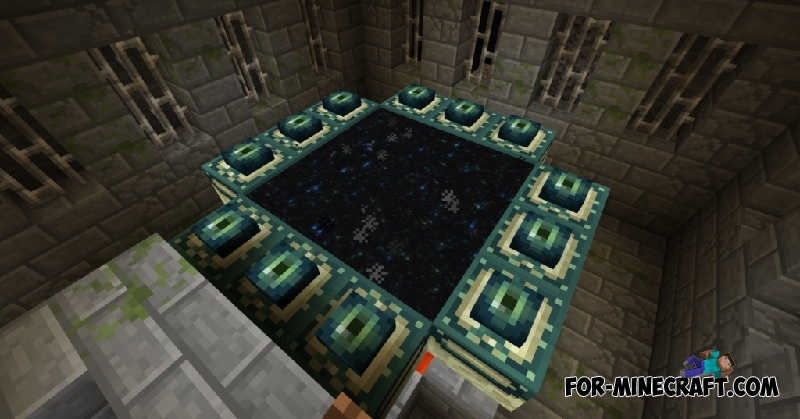 Ender chest is not an ordinary chest designed for teleportation of objects. First and most importantly - access to the full inventory from any of these ender chests. 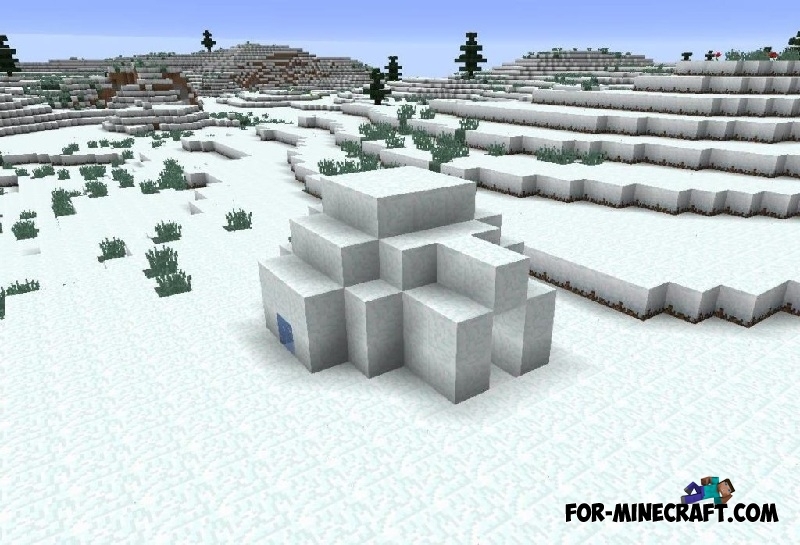 Igloo is a small structure for villagers which is located in snowy biomes.